Dynamark Graphics Group offers a wide variety of commercial printing services in Nashville, TN and we are able to provide our services to companies all over America. 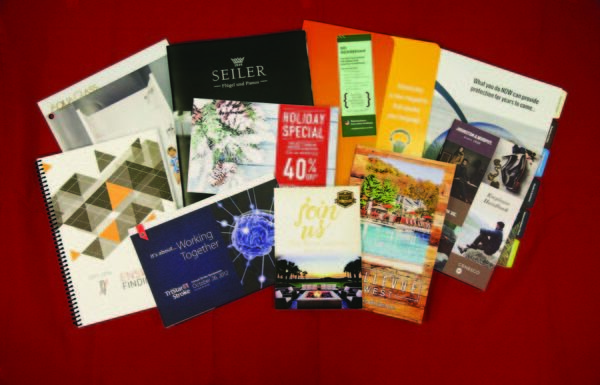 We offer offset printing for large projects utilizing eco-friendly Computer-to-Plate technology. Our digital printing services are great for smaller custom print jobs, variable data printing, as well as high-speed document services. If you need to say something big, our large format printing options will not disappoint. To complement our commercial printing services we provide post-print services such as finishing, binding, kitting, fulfillment and mailing. We have state of the art facilities, a great team and decades of commercial printing experience. Want to see our commercial print work?